It’s Monday. The summer is slowly coming to an end and the fall season is upon us. With the season change comes a new wardrobe and a new hair style or color follows suit. What also comes along with a season change is a scalp change. Yes, a scalp change. Many people, ladies and gents alike suffer from a dry, itchy scalp when the seasons change. For some, dandruff and psoriasis rear their ugly mug. If you suffer from seasonal scalp change, count yourself fortunate for I know many people who have to deal with dandruff, psoriasis and seborrhea on a daily basis. If you are tired of flipping your hair just so you can do a shoulder check or trying to figure out a way to itch your scalp without looking like you have a tick, I have the product for you! Let me introduce you to Joico’s Daily Care Treatment Shampoo. Inositol – a natural conditioning agent that stimulates healthy skin tissue. As always, it also contains Joico’s Bio Advanced Peptide Complex to protect and reconstruct the hair. For those with dry, itchy or sensitive scalp, you can use this shampoo just as you would any other. Apply to damp hair, work up a lather, rinse and follow with a conditioner, any will do. Best results are when followed with Joico Daily Care Conditioner. Can be used daily. For those with dandruff, psoriasis or seborrhea, apply to damp hair, work up a lather and let it sit for 5 minutes, then rinse. Follow with a conditoner – best results are with Joico Daily Care Conditoner. * you may see excessive flaking for the first few days. DO NOT FRET! This is supposed to happen, your scalp is shedding the excess skin. This will improve in 5 – 10 days. I have personally seen the results of this shampoo, from family members to clients in the salon. I have had teen-aged girls hug me because I suggested this shampoo and their dandruff went away. *Many teens suffer from scalp conditions due to hormones. The best feature is the scent of this shampoo. Unlike most scalp treatment shampoo’s Joico Daily Care Treatment Shampoo’s scent is lovely. Fresh and clean, not medicinal in any way, shape or form. *That Girl in the Red Coat tip – I have found that this shampoo also helps alleviate oily scalp. I suggested it to many of my old clients/customers when everything else we tried wasn’t working. …just think, the only shoulder checks you will have to make is changing lanes on the highway. This Monday Motivator is for all the blonde beauties, natural and bottled alike. They say “blondes have more fun”, if you are a bottled blonde, you know all too well the upkeep on our tresses isn’t always a fun time. Between battling tangles, split ends, damage and that ever present frizz, we know for certain that the “blondes have more fun” slogan was created by a natural blonde. Before you run to your stylist and go back to brunette, I have a treat for you! 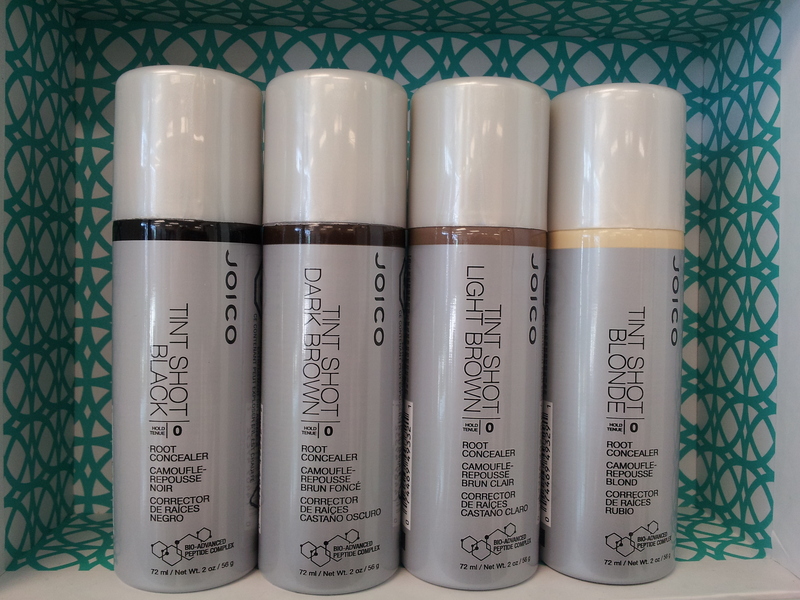 Meet Blonde Life Brightening Veil from Joico! This gem is a lifesaver for any bottled blonde out there! First and foremost, the scent is out of this world…think of the beach mixed with what you imagine Jon Bon Jovi smells like…it’s heavenly. Blonde Life Brightening Veil was created for natural blondes as well, so all of us are covered. 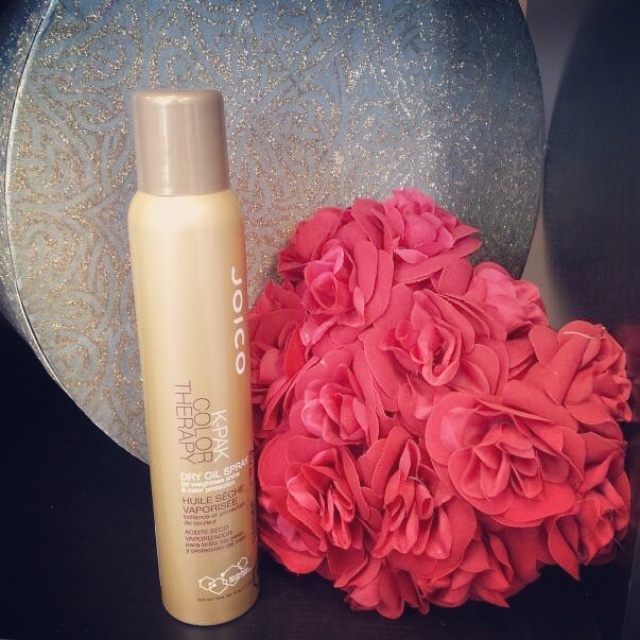 This gem from Joico is an instant safeguard for blonde tresses. It boosts shine and doubles the strength of every strand. It leaves your hair comb-able, manageable, and frizz free. The secret is in the sauce – a blend of rich Tahitian Manoi Oil combined with ultra hydrating Tamanu Oil delivers deep nourishment and protection against the harsh UV rays. Add in Joico’s exclusive Bio Advanced Peptide Complex and your tresses are guaranteed additional repair and protection. To be applied to towel dried hair, spray all over, comb through, blow dry and style as usual. *for optimum results pair with Blonde Life Shampoo and Conditioner. After using Joico’s Blonde Life Brightening Veil, I found my hair had more shine, so much so I didn’t apply my usual shine spray. I had less of those little hairs poking up from the top of my head…you know, the ones your Mother used to pat down with her spit…still a little scarred by that to be honest. I had less tangles before blow drying and my hair smelled wonderful…like so good that I would run my fingers through it just to catch a whiff of the scent in the air. So there you have it. For all my blonde beauties, with this gem from Joico, you are guaranteed a good hair day this Monday, and everyday. Hello Beauties! I know…I know. It’s been a while. August was a CRAZY month so my tales were placed on the back burner. The summer of 2015, filled with sunshine, hard drives crashing, new hires, trips to the E.R., and more! It’s safe to say that yours truly was more than happy to greet September and feel the change in the air. Being that a new season is upon us, I thought it fitting to introduce you to a FAB! new product from Joico. Drum roll please……. The latest addition to Joico’s family of styling products. These gems will cover up your pesky grey’s and can also cover any thinning area’s throughout your scalp or hairline and give the illusion of thicker, fuller hair. Tint Shot was created with a Humidity Resistant formula so not only does it cover up your regrowth, it helps to eliminate frizz! Tint Shot contains Joico’s Bio Advanced Peptide Complex – which repairs hair damage and can prevent further damage up to 25 shampoo’s. * Another Perk! Tint Shot contains Willow Bark which offers a cool, clean, soothing scalp sensation. For best results, apply Tint Shot to dry hair. Shake well and hold 4-6 inches away from your hair. Spray in a light stream to desired area and allow to dry for a minute before touching your hair, or applying your finishing touches with your styling products. * I recommend that you use your flat iron/curling iron before you apply Tint Shot. * Another Perk! No worries of getting caught in the rain and your color running down your back or your cheek – Tint Shot stays put until you wash it out with your next Shampoo. Available in four shades; Black, Dark Brown, Light Brown and Blonde, Tint Shot will soon become your best kept secret, and new best friend. It’s Monday once again. Another weekend of fun in the sun has come to an end and back to the weekly grind we shuffle. This week’s Monday Motivator is aimed at the brunette beauties who have ventures into the ombre/sombre world. As all brunettes know, when dark tresses are highlighted, within a week the warm caramel highlights that brought back memories of our favorite Halloween treat begin to take on the color of a jack o’lantern. …until now. One of the newest additions to the FAB! line of Joico products, Color Balance was created with Joico’s Multi Spectrum Defense Complex, formulated to keep your color true and vibrant. With tone correcting pigments, Color Balance corrects on contact, instantly banishing those overly warm/brassy (orange) tones that turn up on dark hair that has been lightened. *Another perk – Color Balance preserves 89% of hair color nearly 8 weeks by bonding hair fibers. As always – another welcome addition to Color Balance Shampoo and Conditoner is Joico’s patented Bio Advanced Peptide Complex = root to tip repair, protection, frizz fighters and shine. Joico Color Balance Shampoo – lather into hair, leave on for 1-3 minutes, rinse. * may be used once to twice a week. 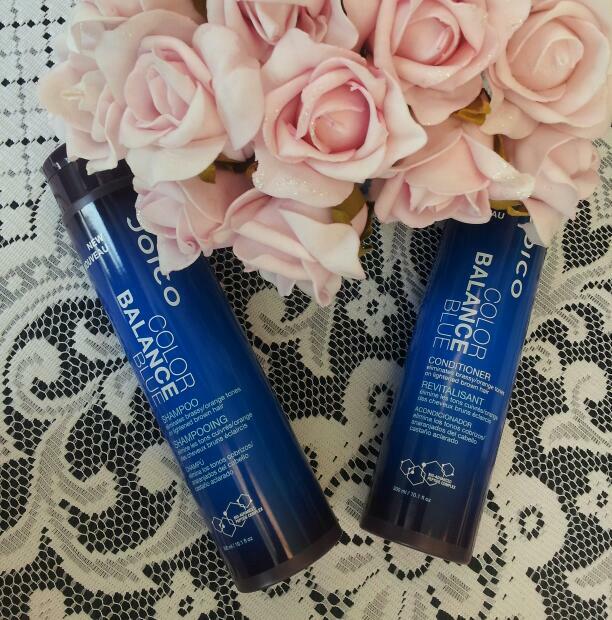 Joico Color Balance Conditioner – work through hair, leave in for 1 – 3 minutes, then rinse. This gem is gentle enough to use as a daily conditioner if so desired. The Joico Color Balance family offers a shampoo/conditioner duo for blondes – Color Balance Purple, and for our red haired beauties – Color Infuse Red. From the feedback of my customers, the color-clientele of our Salon and personal use, Joico Color Balance products are a must for every vanity.